In today's world, there is such emphasis on electronics that sometimes kids forget the joy of playing with simple things like sticks and blocks. Even though my boys are like typical kids today and love their electronics, I do put emphasis on them going outside, playing with sticks and blocks and cars and trucks, things that kids should do instead of looking at a screen all day long! I just received a 60 pc block set from Back to Block for my younger son, and both my boys actually love it! It is fantastic for my boys to play with and use their imagination to build things! My youngest grabs me several times a day and says "blocks" and that has become our bonding time. 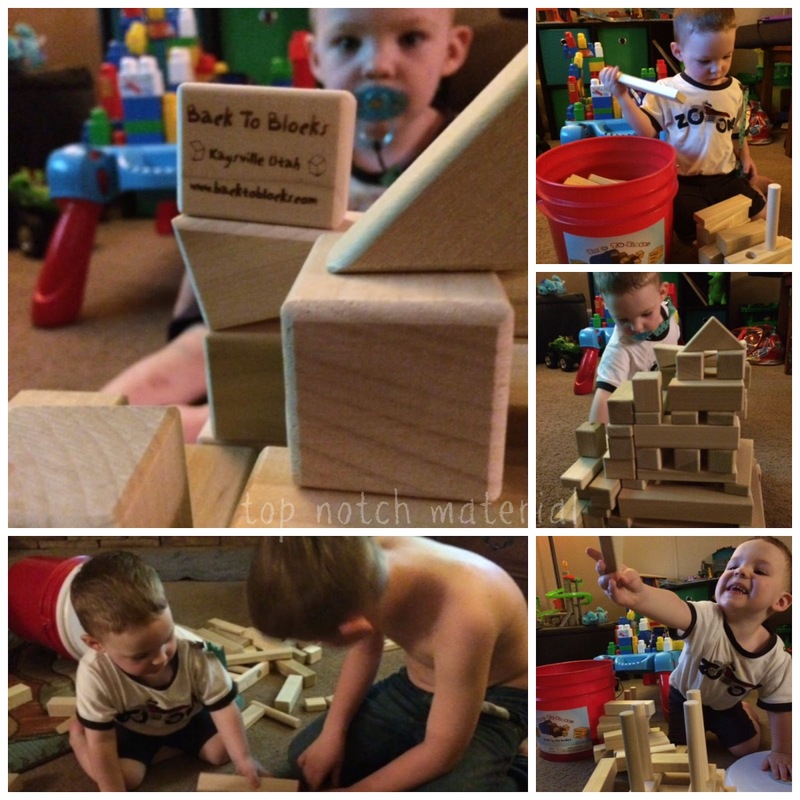 I find that building blocks with both of my boys helps with their fine motor skills and their creativity. It also helps them problem solve and complete a task the way they have it envisioned in their mind. I also make sure that I go over shapes and counting with my youngest when we play too! He is only two, so we are still working on these areas with him. I personally love how convenient they are stored in the colorful bucket, and there is plenty of room to hold them all. There is no cramming the one last little block in there and forcing the lid on, it slides on pretty easily, and closes tightly. 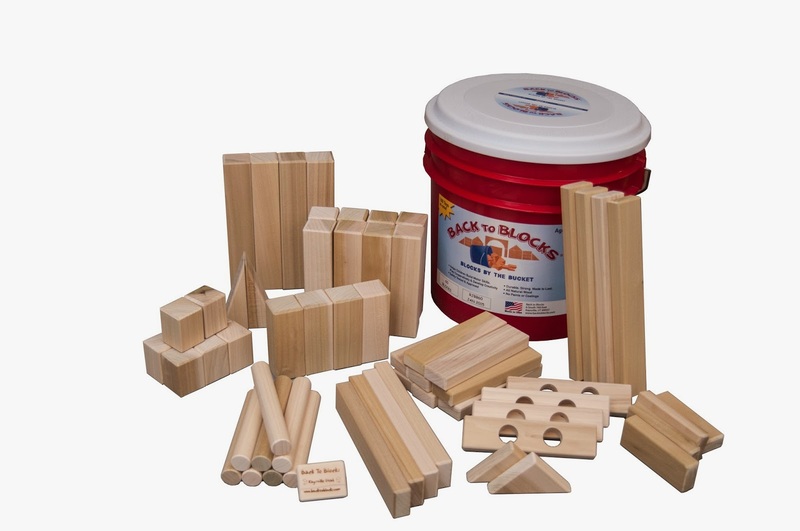 The blocks are natural wood, and made in the USA. The 60pc set is the perfect set of blocks for your little one! It comes with 10 shapes, and contains just enough shapes to make a pretty fun castle or building! We have spent countless hours playing with the Back to Basics blocks, so I highly recommend them to anyone with children aged, I would say 2-10! I think blocks are an important part of play and growing up. Any kind of block is good.